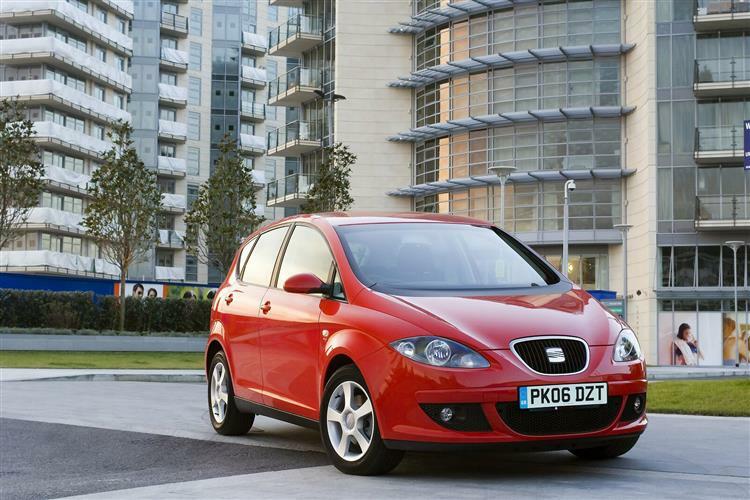 If the idea of a mini-MPV fills you with dread fear not, for SEAT have a stylish solution. The Altea may not be the biggest or even the cleverest mini-MPV in its class but it's definitely one of the most fun to drive and makes a tempting ownership proposition. Low pricing from new tends to make bargain used buys but the word is out on the Altea and low mileage bargains are thin on the ground. Here's what to look for. 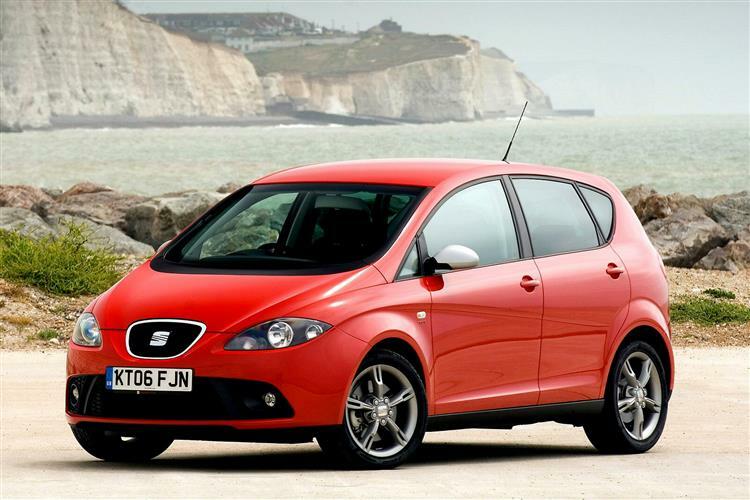 Launched in May 2004, the Altea was the first SEAT to adopt the styling cues of the Salsa show car. 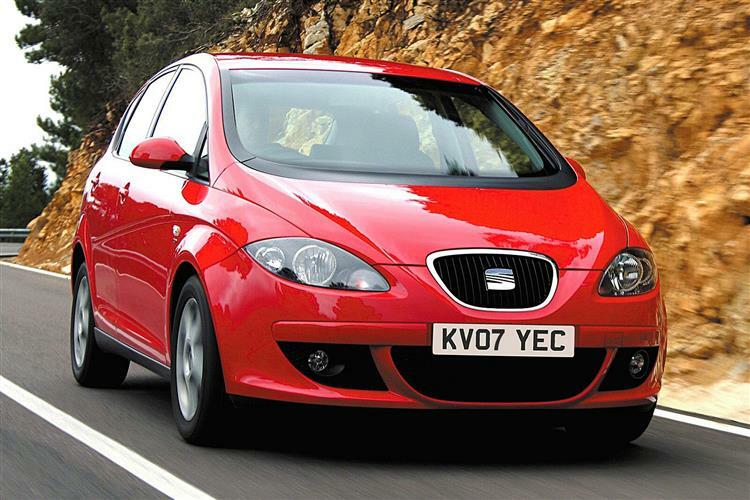 Although the Toledo and the Leon would soon follow suit, it took the public some time to get to grips with the new direction and sales were initially rather slow. Before too long, however, a favourable press and some aggressive pricing pushed the Altea into the limelight and it's now one of the Spanish company's most popular lines. 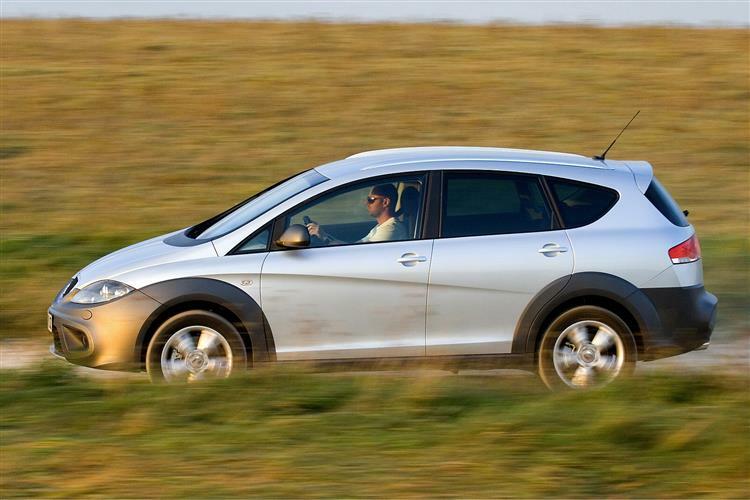 At launch, there were four engines, a pair of petrols in 1.6 and 2.0-litre capacities and two turbodiesels. Buyers got to choose either the rather old fashioned 1.9-litre unit or the rather more modern 2.0-litre. In the middle of 2006, the range became a whole lot sportier with the introduction of the FR trim level. This added spoilers and bigger alloys to the Altea package but, more significantly, it also delivered a 170bhp version of the 2.0-litre TDI engine and a 2.0-litre turbocharged petrol unit with 200bhp. 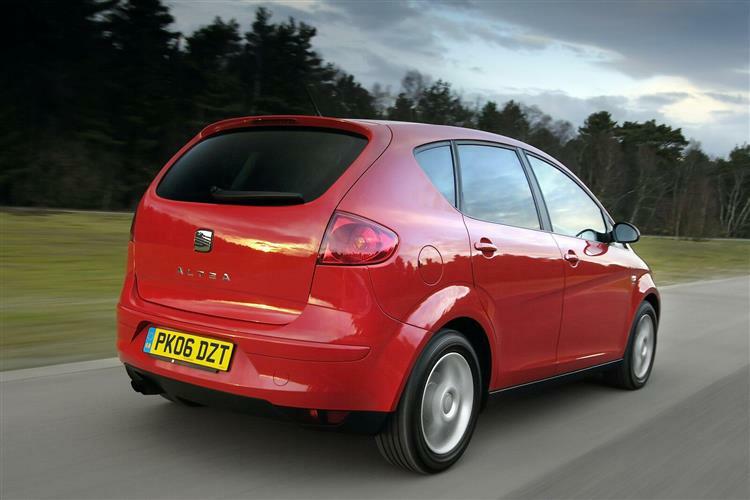 The extended Altea XL version was announced late in 2006. At 18.7cm longer than the standard car it boosted luggage capacity from 409 to 532 litres. The DSG paddle shift gearbox was available on the sporty FR model from late 2006. The Freetrack 4x4 variant was introduced in 2.0-litre petrol TSI and 2.0 TDI 170 guise in September 2007. 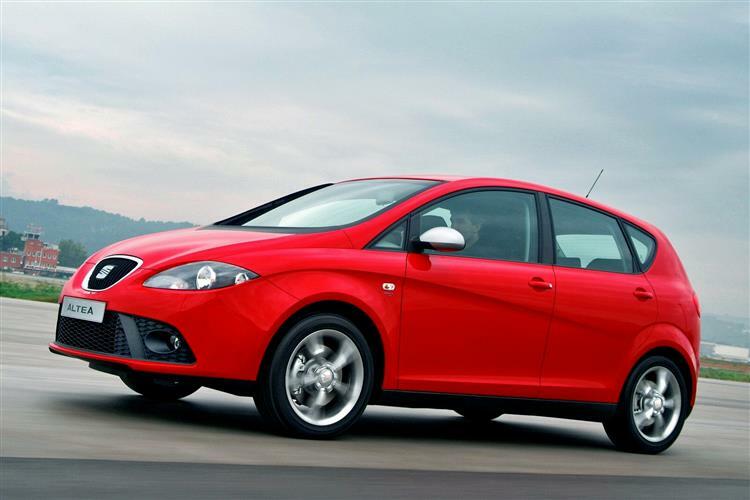 Revisions in mid 2009 saw the 2.0-litre turbo engine axed along with the FR trim level. The other trims were renamed S, SE and Sport while the range-topping diesel engine was replaced by another 2.0-litre 168bhp unit, this one using common-rail injection technology. The interior materials and design were improved and the front of the car got sleeker headlights with a reshaped grille and a smaller SEAT badge. The Freetrack 4x4 remained untouched. 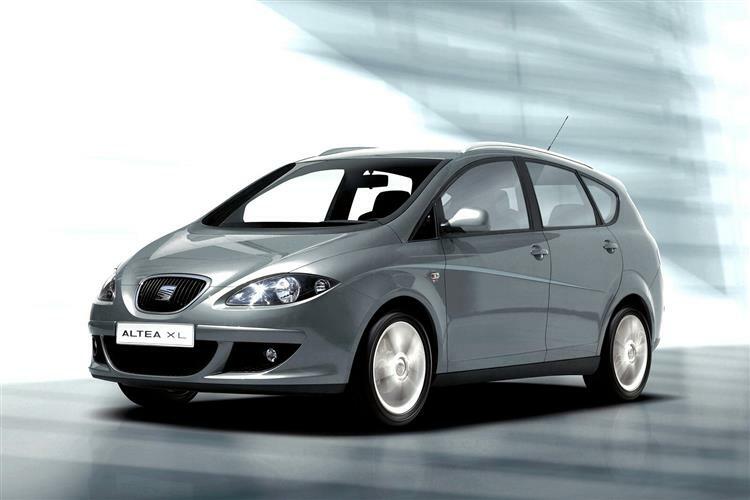 First shown at the 2003 Frankfurt Motor Show, the reaction to the Altea was so positive that SEAT's paymasters, the Audi Brand Group (Audi, SEAT and Lamborghini), threw everything into turning the car into a production reality. Just five months after its debut under the tungsten lights, it was ready to roll into dealerships. 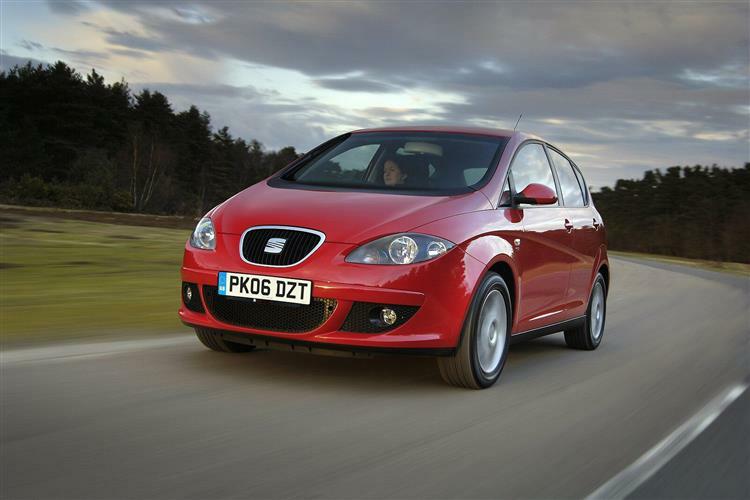 It's a significant precursor of what's to come from SEAT. The huge radiator grille with prominent 'S' logo, the almond-shaped headlamps and the 'dynamic line' that runs from the front wheel arch over the doors to the rear wheel are all styling traits that SEAT's design director, Steve Lewis, proposes to incorporate into all the marque's forthcoming models. 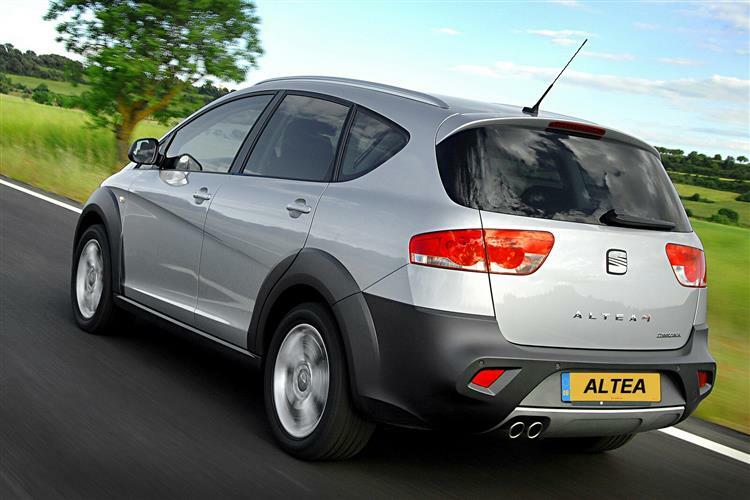 The Altea unashamedly offers five spacious seats rather than seven cramped ones but weighs in with some innovative thinking. The side profile has the same 33:66 glass to metal ratio that features on so many sports cars and gives the Altea a far higher waisted and more dynamic look than, say, a Volkswagen Touran. 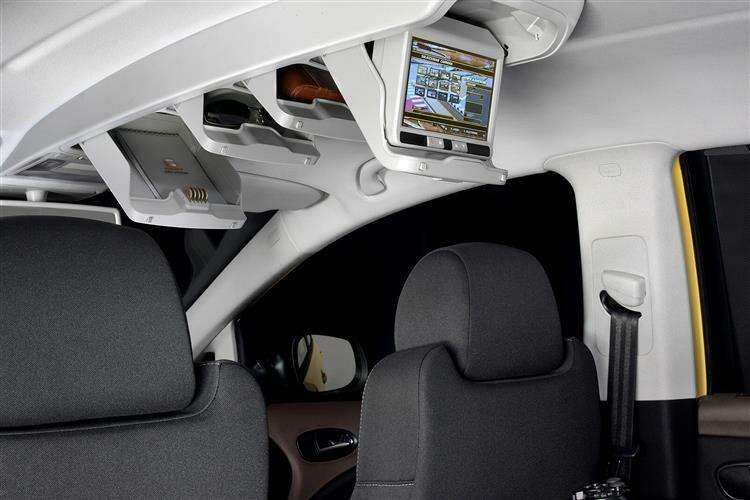 Inside, there are more than thirty places to stow and stash goodies, including a supersized glove compartment, big storage bins on all four doors, drawers under the front seat and even a storage area under the boot floor. Even the parcel shelf has a storage cubby incorporated within. The two-tiered boot has a capacity of over 400 litres. The rear bench is a 60/40 split affair with a fold down armrest incorporating cupholders. 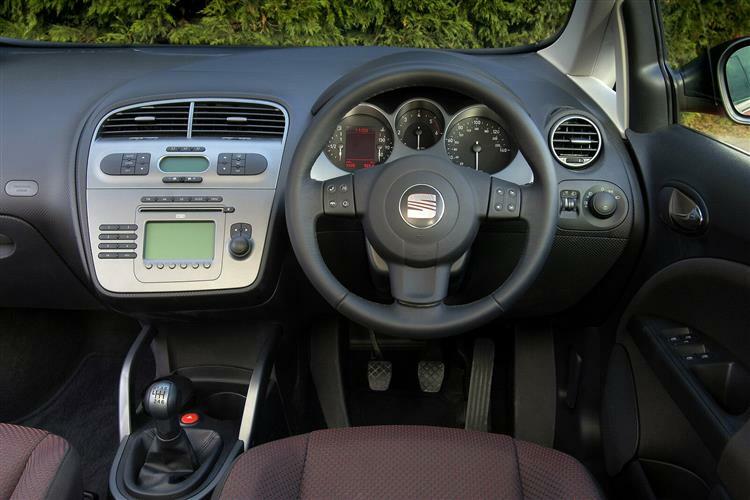 As befits SEAT's position within the sportier Audi side of Volkswagen's empire, the seats are supportive and the steering is meaty, the multi-adjustable wheel making it easy to find a decent driving position. The trim and build quality, whilst maybe not the most exciting in terms of colour choices and materials, is nevertheless of a relentlessly high quality. 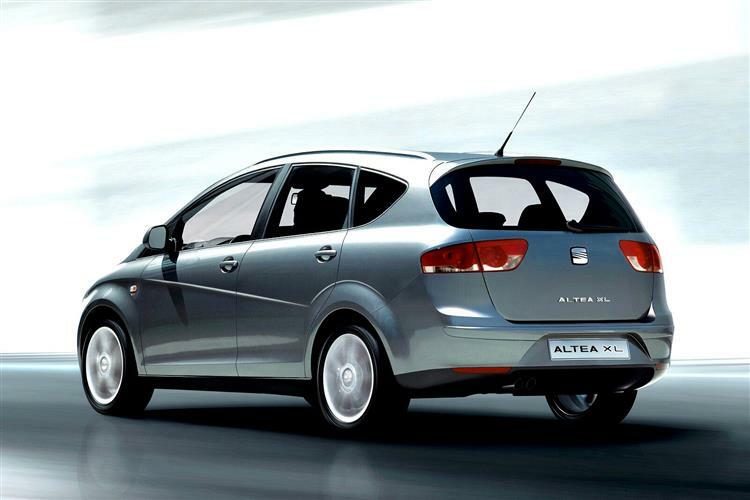 The Altea's greatest party trick is definitely the windscreen wipers - spot them if you can. Clue: they're hidden in the A-pillars. Tried and tested engines, the VW-standard quality auditing and an inherent feeling of solidity all bode well for the Altea's reliability. Watch out for neglected ex-hire models. 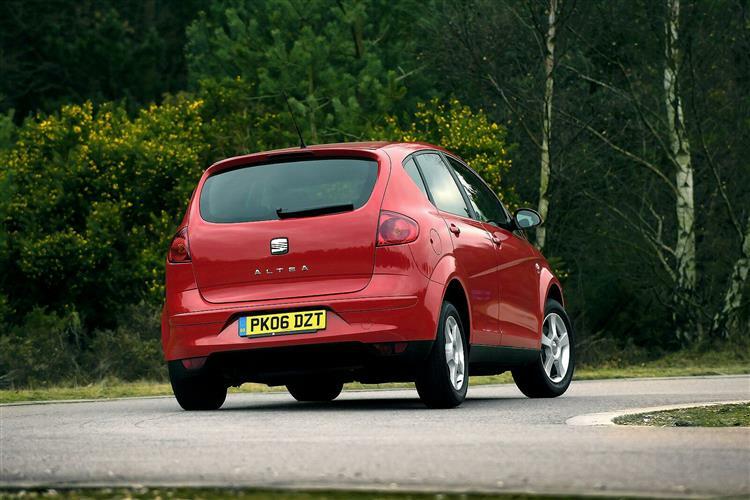 The Altea is a car where the price differences between good and bad examples aren't too great, so be fussy. Look for a fully stamped up service history and reject anything that looks in any way tatty, grubby or vaguely dog-eared. (approx based on an Altea 2.0 TDi DSG ex VAT) SEAT spares are reasonably priced, with a replacement Altea headlamp costing £111. A replacement alternator unit retails at around £185 with an exchange starter motor setting you back just under £120. Opt for a new alternator and starter motor and the prices stack up at £370 and £226 respectively, so even if the old one is a steaming basket case, you'll save by getting an exchange unit. Front brake pads are £50 with rears a tad under £30 per pair. Many parts are a little cheaper for the 1.6-litre petrol models. Based on the latest generation Golf chassis, the Altea serves up a set of sophisticated road manners. The multi link rear axle and McPherson struts up front offer a very good ride/handling compromise, helped in no small part by one of the best electro-mechanical steering systems we've yet come across. Turn-in is surprisingly sharp for a vehicle that's fully 1570mm high and body roll is very well controlled. 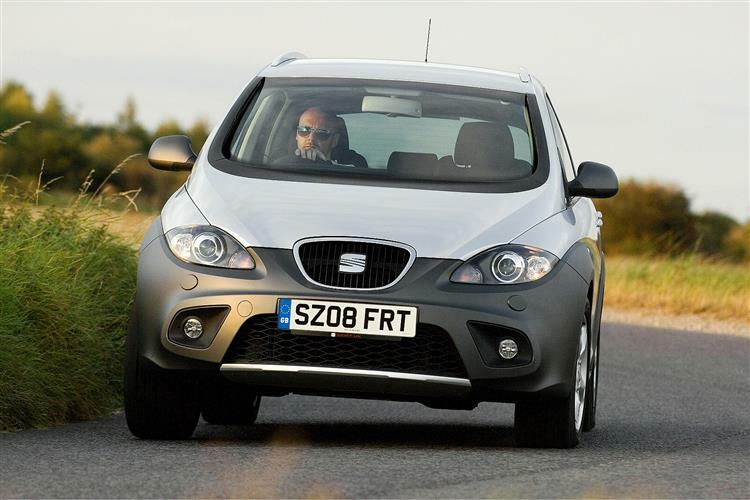 The Altea isn't found wanting in terms of safety provision, being SEAT's first car to be sold in the EU with twin front, side, and head airbags as standard. Three-point anchors for all five seats, ISOFIX child seat attachments, anti lock brakes and traction control are all offered. Four engines were available from launch; two petrol and two diesel. The petrol engine line-up comprised a 102bhp 1.6-litre entry level unit and a peppier 150bhp 2.0-litre FSI unit. Diesel buyers chose between the 105bhp 1.9-litre powerplant and the 140bhp 2.0-litre turbodiesel unit. A five-speed manual gearbox was fitted as standard to all models although buyers of the two more powerful engines could opt for a six speed unit. A six-speed Tiptronic automatic was available with the 2.0-litre FSI engine and those who opted for the most powerful diesel also got the chance to use the astonishing twin-clutch DSG gearbox of Audi TT fame. The 1.6-litre petrol engine shifted the biggest numbers in the UK and with a full 1320kg to heft up Her Majesty's highway, cynics thought that this surely would be a stern test of SEAT's pre-launch promises of fun behind the wheel. 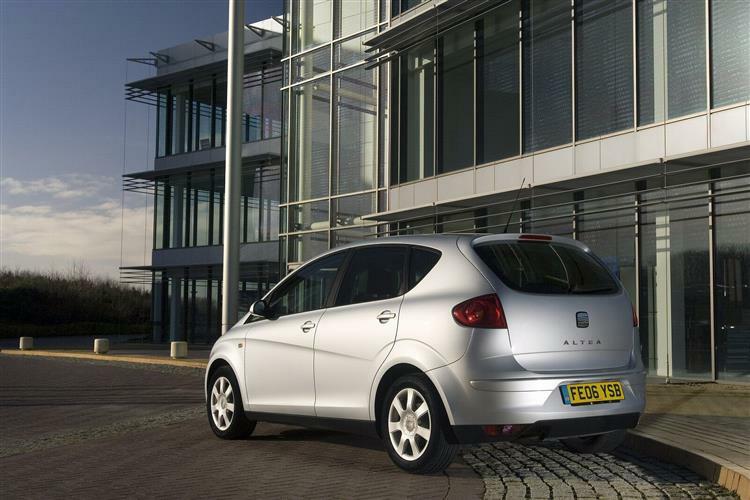 It turned out to be just enough engine, getting the Altea to 60mph in 12.5 seconds and on to a top speed of 113mph. 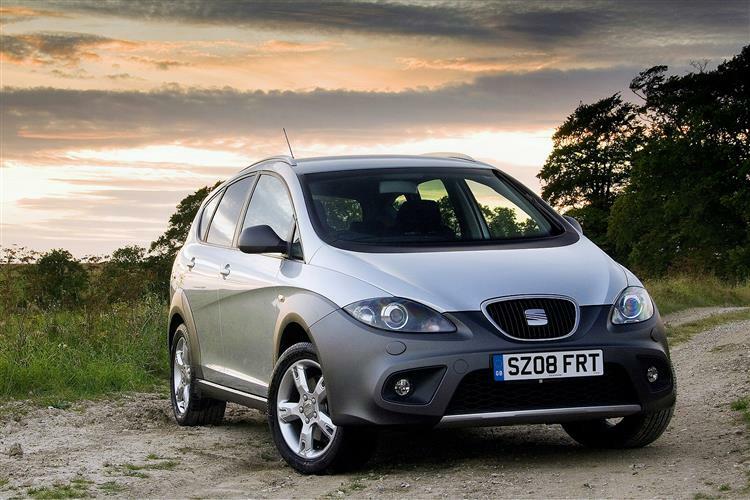 Obviously, driving as if your trousers are on fire isn't going to see anything like the 36.7mpg combined fuel consumption figure quoted by SEAT but the Altea does encourage 'spirited' progress. Tested back to back, most buyers would probably prefer the 105bhp 1.9-litre diesel which offers bags more torque and therefore superior real world performance.